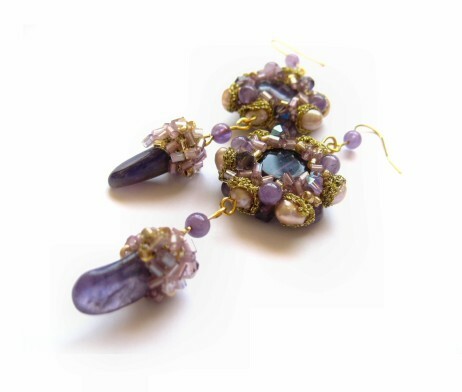 These dainty earrings feature small baroque freshwater pearls (approximately 0.5 mm in size) with rainbow overtones, several round amethyst gemstone beads (approximately 0.4 mm in size) and many sparkling glass beads. 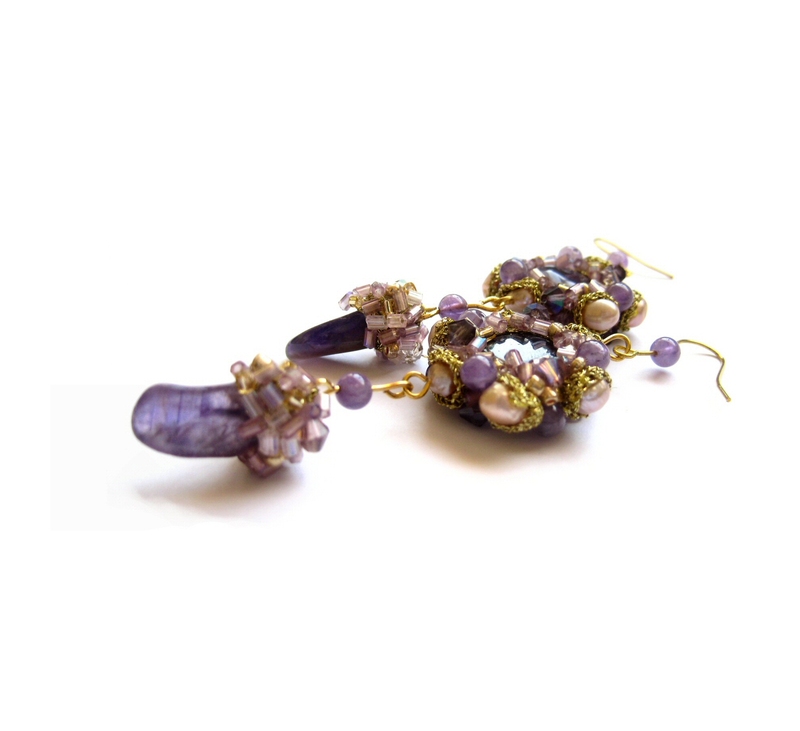 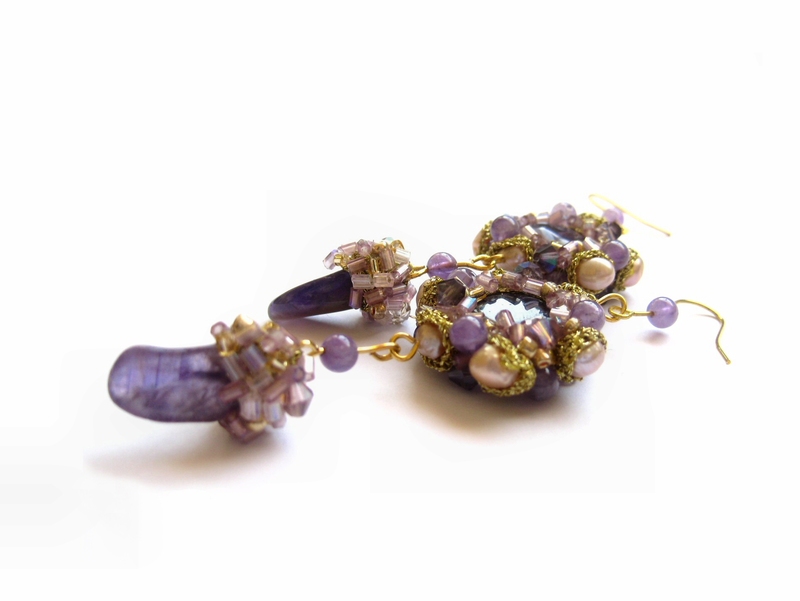 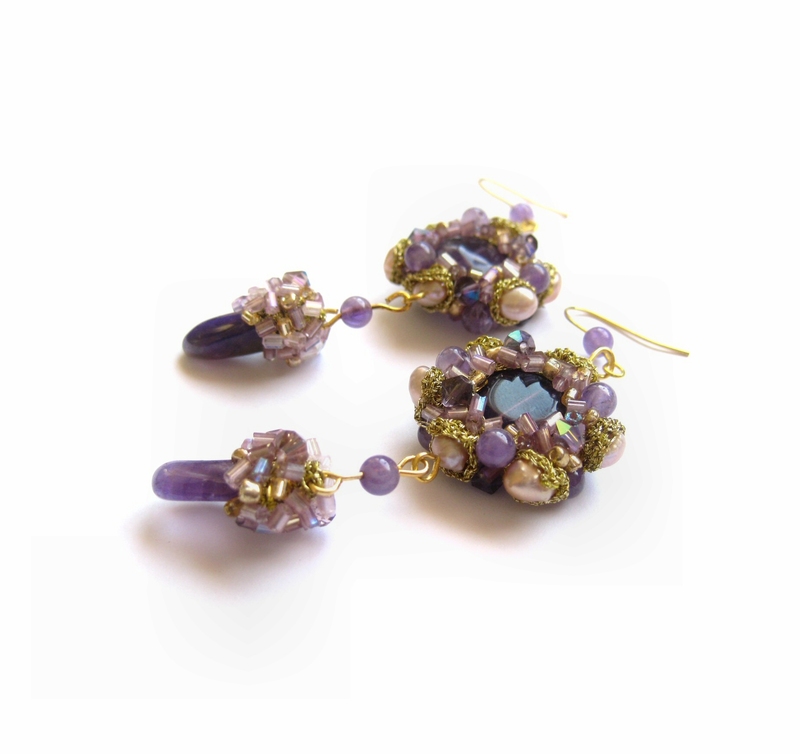 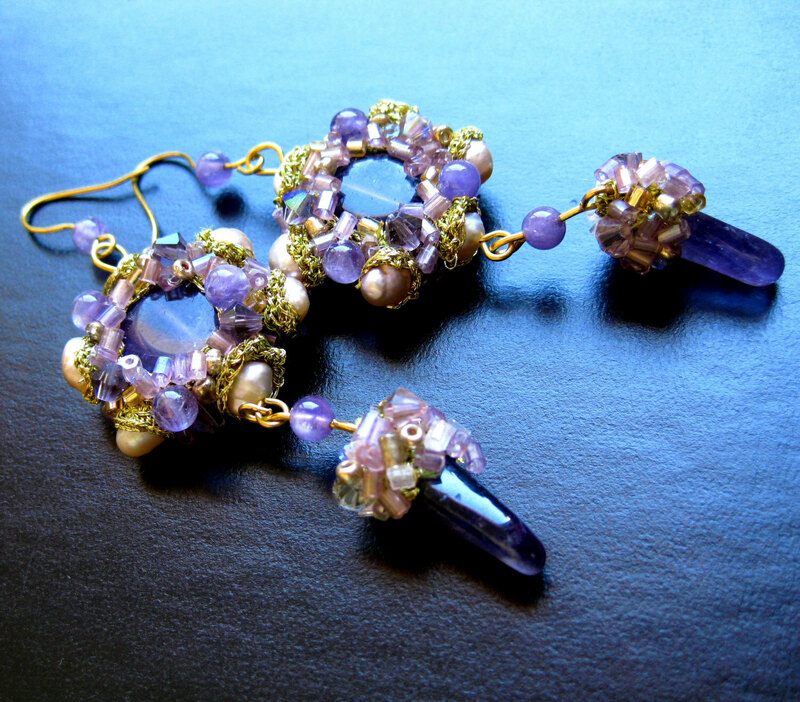 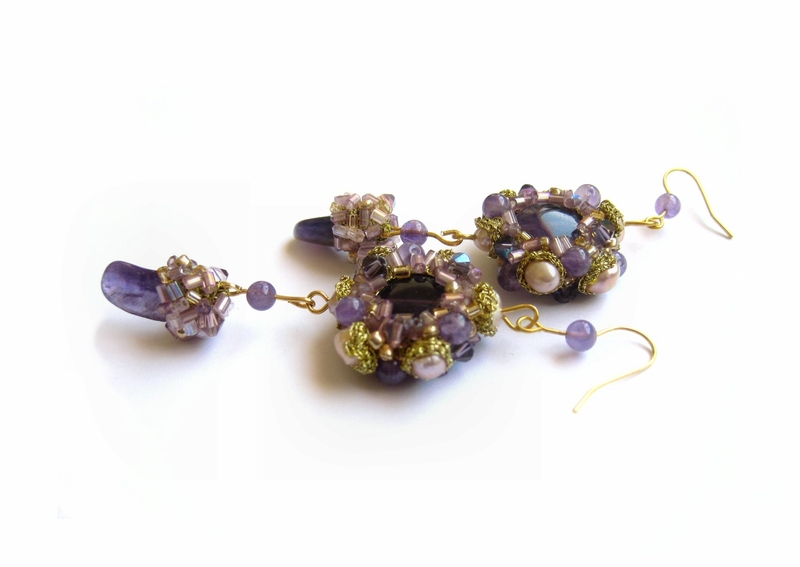 The earrings are centered with natural shaped amethyst gemstone (approximately 10 mm in size). 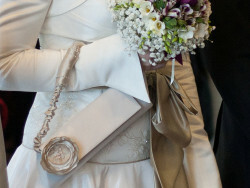 Each setting is adorned with natural shaped amethyst gemstone pendants (1.5 cm) swaying delicately. 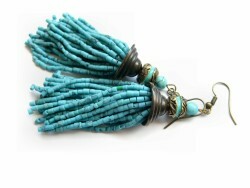 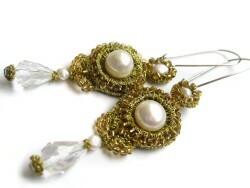 Earrings have identical look on reverse side.